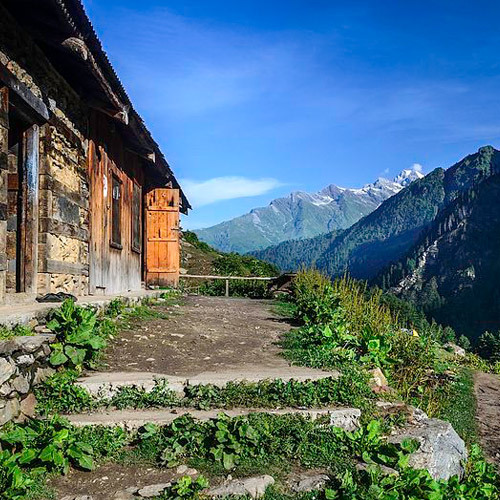 The Khar Myundari trek is perfect for those looking for an easy multi-day trek from Manali. The trek begins at Setan, which is an hour's drive from Manali. 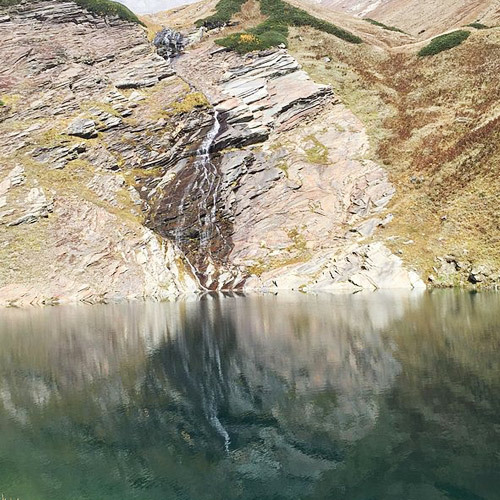 The 4-day trek to Khar Myundari takes participants to a beautiful campsite next to a lake and offers great views of the Kullu valley. 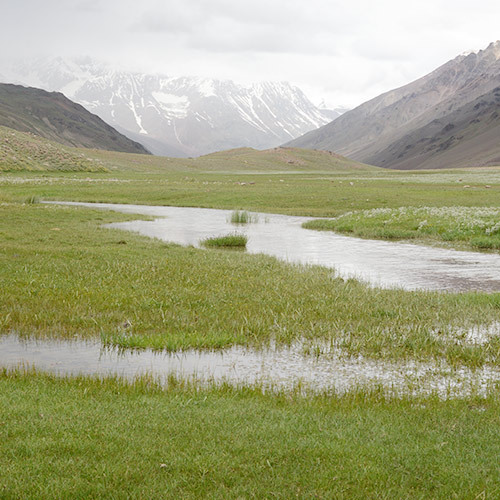 This easy trek to Khar Myundari takes participants to some of the prettiest plains near Manali. The trail takes you through thick deodar and pine forests and beside a stream, while all along, there are beautiful views of the Kullu valley. 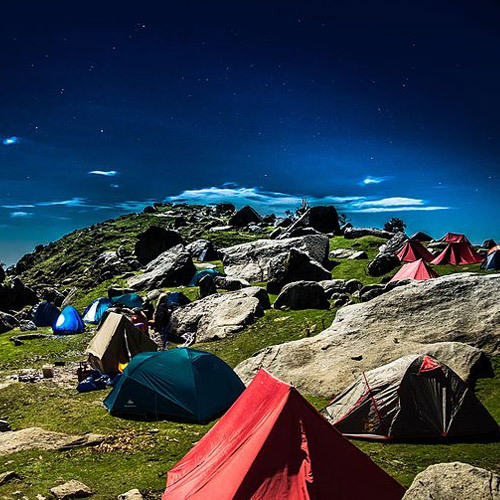 You’ll camp beside a lake in Khar Myundari and get beautiful views all around. During the apple season, you’ll get to pluck crisp sweet apples from trees. You start from Manali and will be driven to Setan, from where you have a short walk of about 15 minutes to your campsite for the night. You’ll start seeing greenery all around from here itself. From the next day, your trek really begins in earnest. The trail winds through forests of deodar and pine, and along a sparkling stream. You’ll get to Khar Myundari by evening, where your tents are set up beside a lake. The next day you descend to Prini and stay in a cosy lodge set amidst apple orchards, before heading back to Manali the next day. Carry comfortable trekking clothes for your Khar Myundari trek: t-shirt, a warm jacket, leggings or trekking pants, and most importantly, good trekking shoes. Do ensure you have enough warm clothing, including a woolly hat and gloves. You should also pack a poncho or raincoat, along with floaters or sandals for after-trekking hours, extra socks, a light towel, and lipbalm, sunscreen, cold cream, and insect repellent. 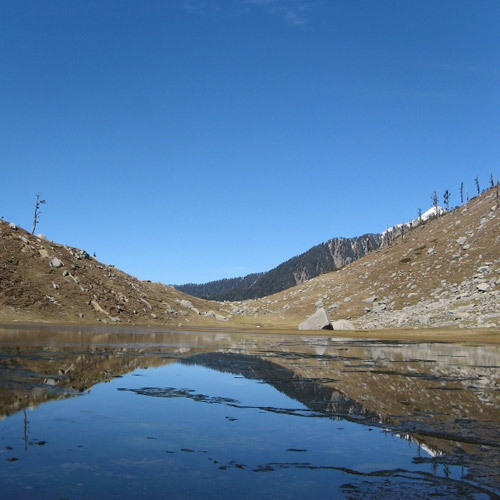 If you’re going in winter, do make sure you carry enough thermal wear and winter wear for the Khar Myundari trek. 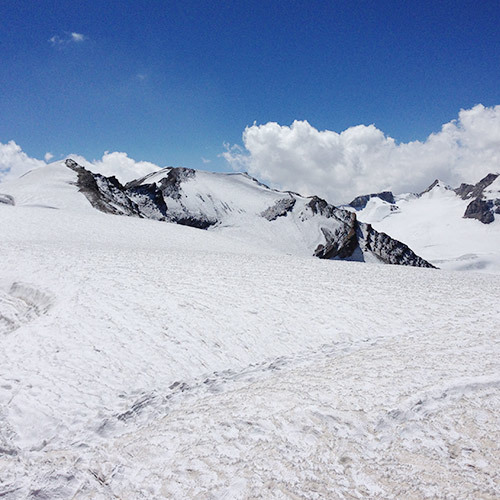 In the winter, the Khar Myundari gives you a fun snow trekking experience, and you’ll be walking through landscapes blanketed with snow. In the summer and spring, you’ll see the famous Himachal beauty, from fruit- and flower-laden trees to sparkling streams and snowy peaks in the distance. 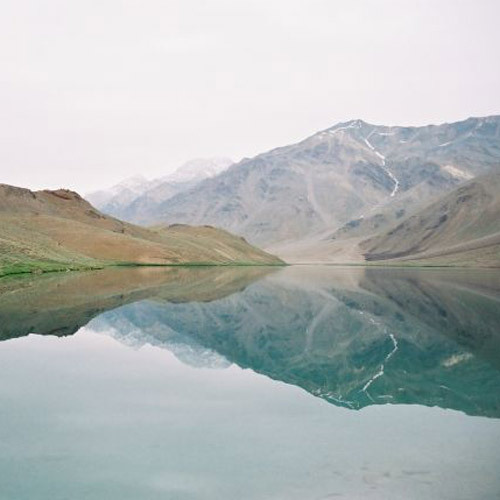 Looking to head to the mountains for a weekend of Himalayan adventure? 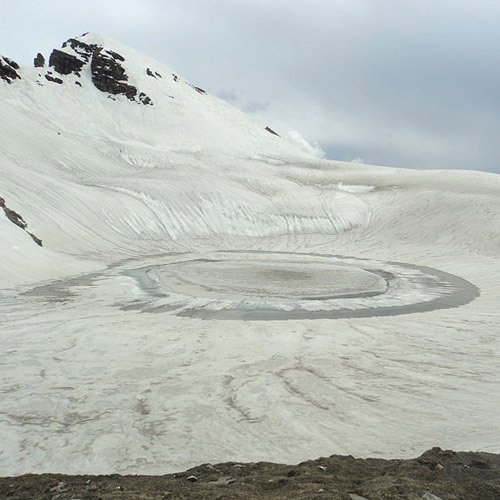 Then, the Khar Myundari trek is the perfect trek to embark on in Manali. The trek begins at Setan, which is an hour's drive from Manali. 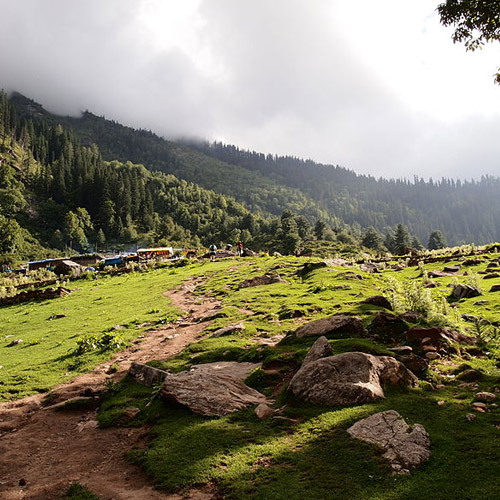 The 4-day easy trek to Khar Myundari takes participants to a beautiful campsite that's next to a lake and offers great views of Kullu Valley.